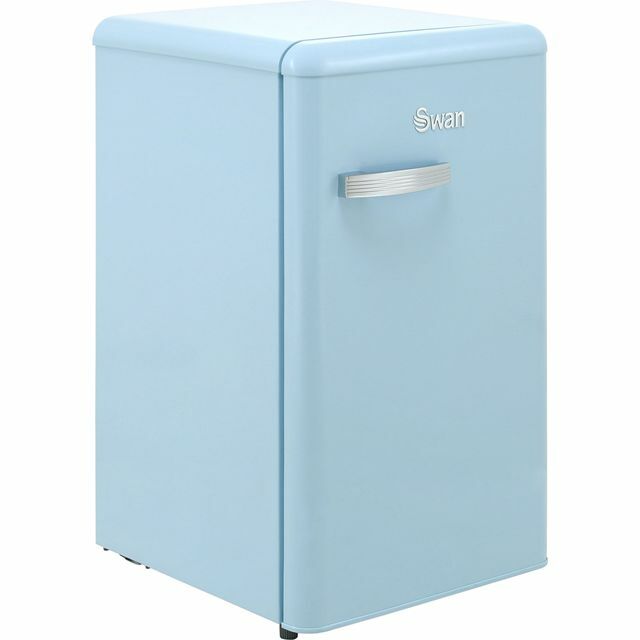 This attractive blue under counter fridge from Swan will make a stylish addition to any modern kitchen. With a 77 litre capacity, it can hold up to 4 bags of food shopping – perfect for stocking up on essentials. It has a handy frozen food compartment too, so you’ll always have your favourite flavour of ice cream to hand. This model also has an estimated annual energy cost of £22.33. It even has a handy salad crisper drawer, so you can keep your favourite fresh vegetables neat and organised. Im really happy with my fridge, apart from the fact it looks very stylish, it works great and has a great capacity. This is a good looking Fridge with great build quality. So impressed with how quiet it is.